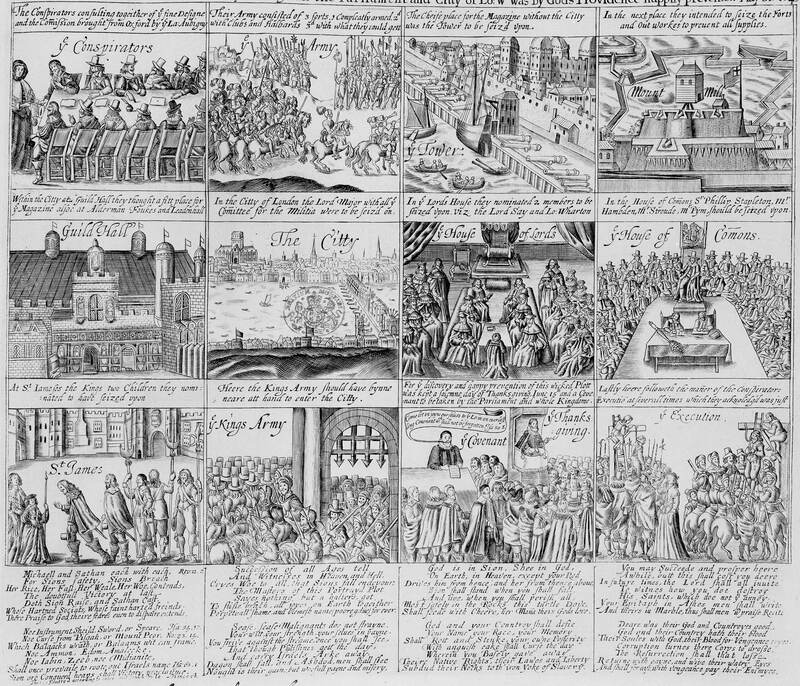 The 17th century was a period of huge political and social upheaval. From an age characterised by the Crown’s tight control of the state, the century witnessed years of war, terror and bloodshed that enveloped the kingdom, as well as the execution of Charles I and the introduction of a republic. 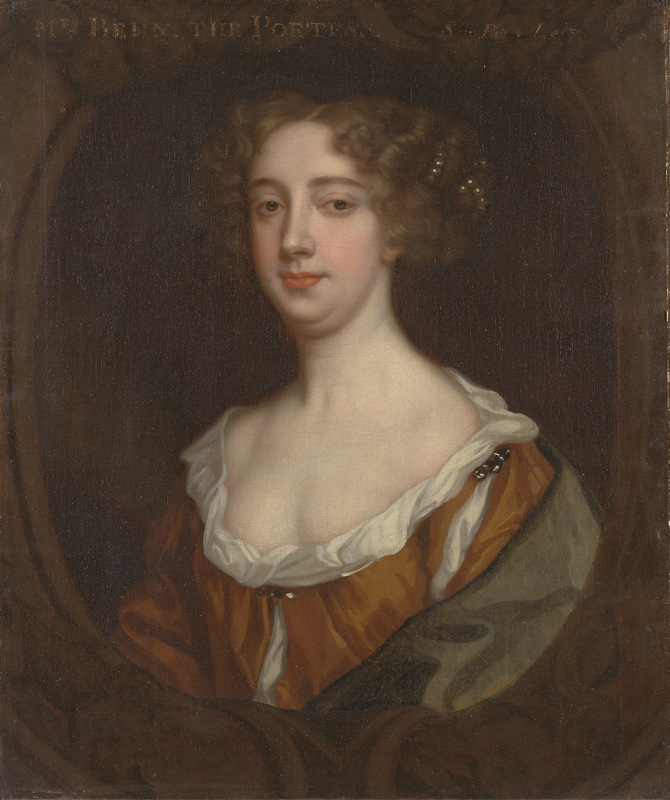 Yet all this was again to be overthrown with the restoration of Charles II: a short-lived return to autocratic royal influence finally swept away with the installation of William and Mary as ruling monarchs. The origins of the English Civil Wars are firmly rooted in the actions of one man: King Charles I. As a child, Charles was never destined to succeed to the throne. The weak and sickly second son of James I, Charles had lived in the shadow of his elder brother Henry, who was educated in the ways of kingship by his father. All this changed when, in 1612, Henry contracted smallpox and died, suddenly placing Charles as heir to the throne, eventually to be crowned in his own right in 1625. The old king, James I, had been schooled in notions of compromise, forced to negotiate with his nobles on matters of religion and affairs of state. 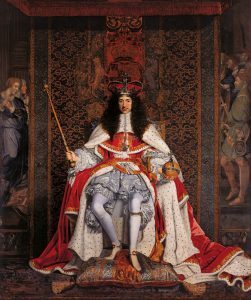 Charles, by contrast, adopted a starkly different approach, believing that his authority alone was supreme and ordained by God: defined by the principle of the ‘Divine Right of Kings’. ‘It is for me to decide how our nation is to be governed’ he wrote; ‘I alone must answer to God for our exercise of the authority he has invested in me’. Charles I’s absolutism manifested itself at a time of emerging self-confidence among the English elite. Though Parliament met only sporadically during this period – and acted mainly in an advisory role to the sovereign – by the time Charles was crowned he was already highly dependent on the gentry’s ability to raise adequate tax revenues (derived from agricultural rents, which far exceeded any other sources of income). It was this body of landowning gentlemen that constituted the bulk of Members of Parliament, men who, in theory, could by withholding his sources of income, hold the king to account. Conflict between Crown and Parliament arose for a number of reasons. In matters of religion Charles appeared to disregard the Protestant settlement secured by Henry VIII, favouring instead the Catholic mass and, in 1625, marrying a Catholic member of the French nobility, Henrietta Maria. Charles also continued to act unilaterally in matters of foreign policy and, in the face of criticism levelled by his chief advisers, dissolved Parliament in 1629. Parliament would not meet again for another 11 years. Without Parliament to sanction his financial needs, Charles found himself in increasingly difficult circumstances. 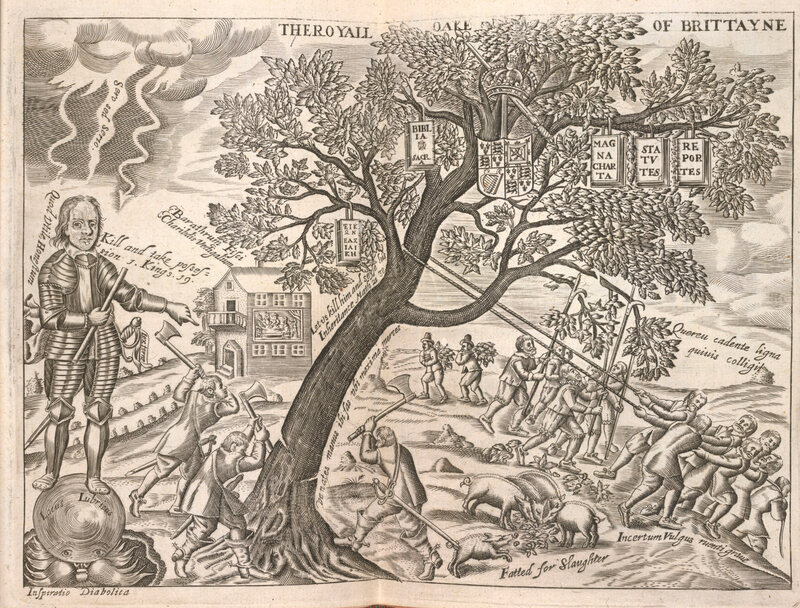 Rebellion in Scotland (provoked by Charles’s insensitive imposition of a new prayer book) required that additional revenues be raised in order to finance a military response. 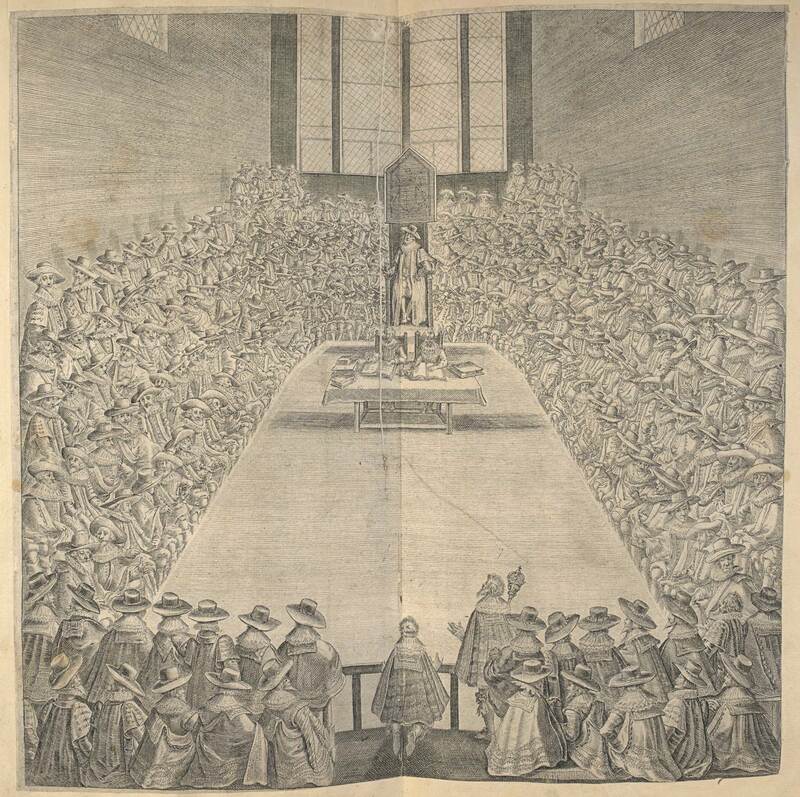 Reluctantly, the king convened a new Parliament in 1640. The new Parliament that met that year was at once openly hostile to the Crown. 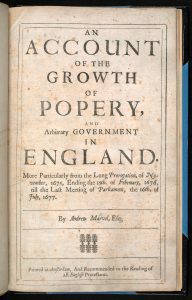 MPs complained bitterly about the imposition of taxes and the blatant disregard of religious toleration in the north. 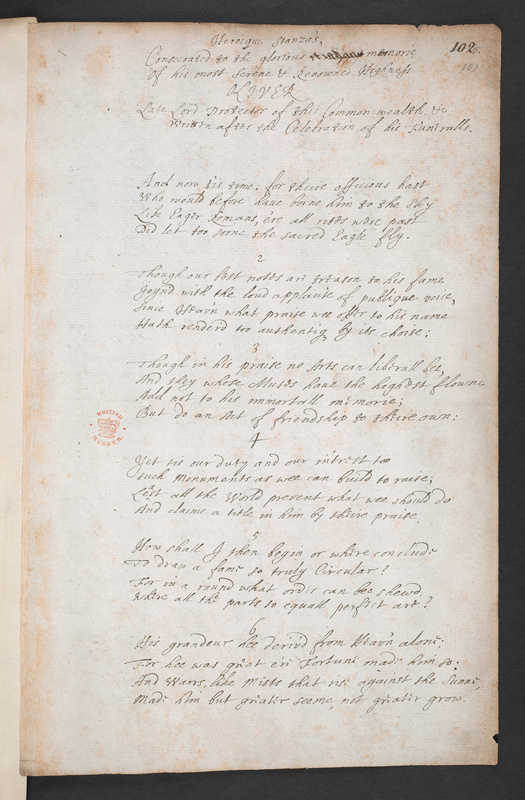 (The Scots had rejected Charles’s prayer book and drafted a National Covenant in defiance of the king, resisting his religious reforms in favour of a simpler form of Protestant worship.) Sensing weakness in Charles’s position, key concessions were demanded from the king, and personal attacks were launched against his key ministers. Among them, Thomas Wentworth, Earl of Strafford, was to suffer the death penalty for what Parliament labelled acts of treason against the Scottish nation. A botched attempt to arrest five MPs for treason set the king directly in conflict with his people. The scene was set for civil war. 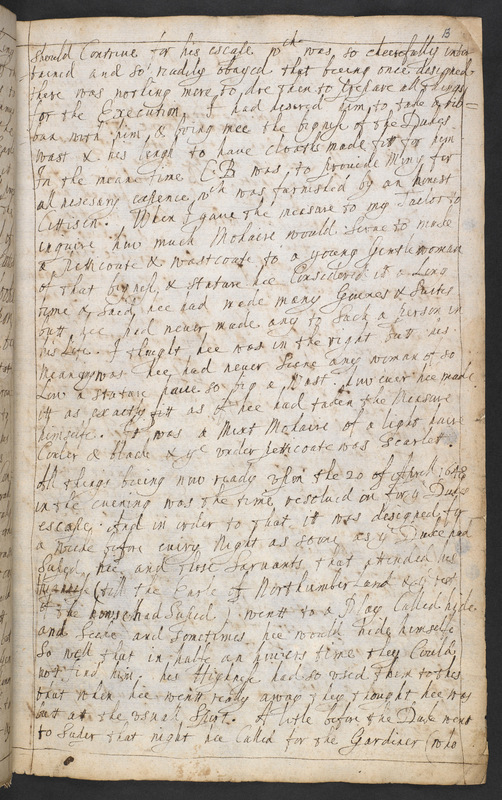 Fearing for his own safety, in 1642 Charles fled London, first heading north to where he believed his main support lay. At Hull, the king was refused entry to the city by the Lord Mayor, and later that year, in Nottingham, Charles raised his royal standard: the first symbol of open warfare with Parliament. On 23 October 1642 the first true battle of the Civil Wars took place, at Edgehill in Warwickshire, resulting in stalemate between Parliamentarian and Royalist forces. 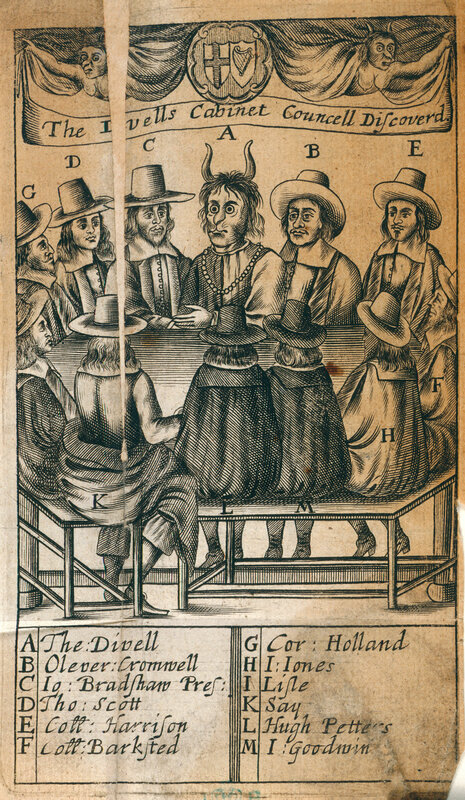 For four years afterwards skirmishing and warfare erupted across the nation, as Roundheads (labelled for the Parliamentarians’ short cropped hair) and Cavaliers (a derogatory term describing the courtly dress of Royalists) pitched themselves against each other. Families were torn apart as uncles, sons, brothers and fathers took up arms against one another. In total, perhaps 100,000 soldiers and civilians perished during the wars, and 10,000 houses were destroyed. Following defeat at the Battle of Naseby in 1645, Charles I placed himself in the hands of Scottish forces at Newark, hoping to seek concessions from Parliament. Three years of effective house arrest followed, during which time further battles were fought across the country. In 1648, while in custody at Carisbrooke Castle on the Isle of Wight, Charles attempted one final effort to save his crown. 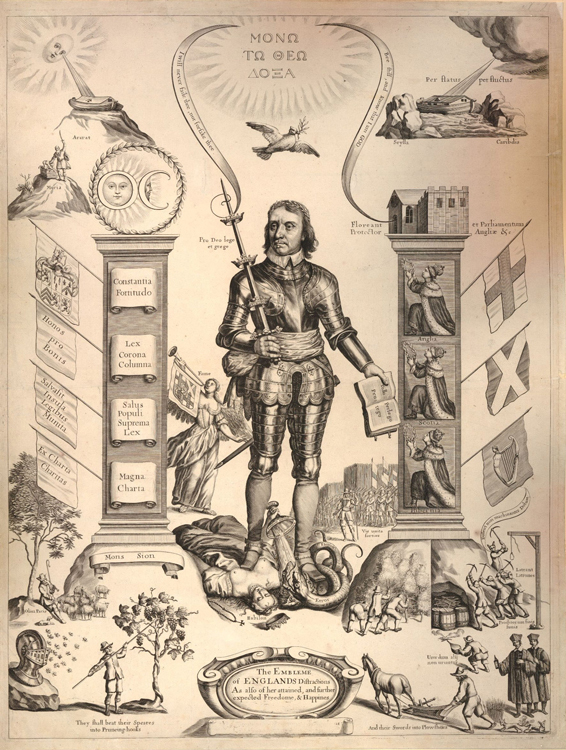 Though senior politicians voted to consider his proposals for negotiation, military forces (commanded by Oliver Cromwell) overruled Parliament, branding the king a tyrant and a traitor. 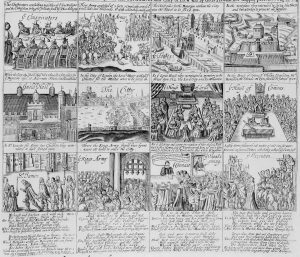 In January 1649 Charles was indicted by Parliament on a charge of high treason, accused of waging an unjust war ‘whereby the country has been miserably wasted, the public treasure exhausted, trade decayed [and] thousands of people murdered’. 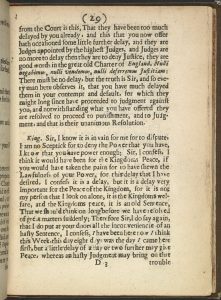 On 20 January 1649 Charles stood trial at Westminster Hall, where he refused to acknowledge the authority of the court, once again claiming that only the sovereign could exert ultimate authority. Parliament would not countenance such a position. 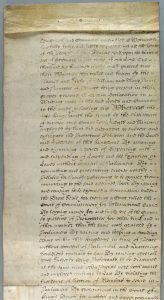 After listening to 30 witnesses for the prosecution, on 26 January Charles I was condemned to death, his execution warrant signed by 59 commissioners. 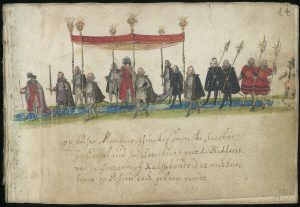 On the morning of Tuesday 30 January 1649 Charles I was led through St James’s Park to the Banqueting House in Whitehall, where a scaffold had been prepared for his execution. On mounting the platform at two o’clock that afternoon he prayed fervently, declaring defiantly that ‘I shall go from a corruptible to an incorruptible Crown, where no disturbance can be’. 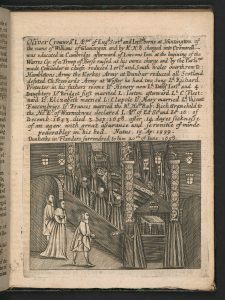 With one swift blow, Charles’s head was removed by the executioner’s axe: an unprecedented act of regicide hitherto unknown in British history. 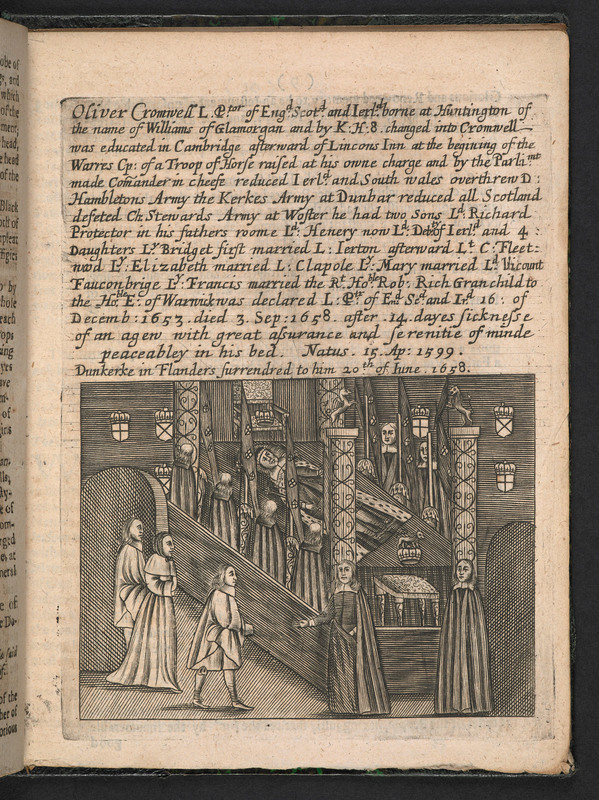 The death of Charles I was greeted with shock by many people. Few believed that in spite of years of savage warfare, the king would pay for his actions with his life. Yet by 1649 the monarchy had been swept away. 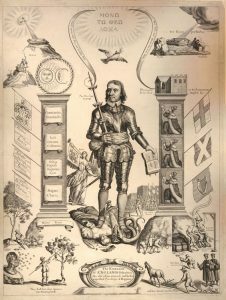 For the next 11 years Britain was governed as a republic, with Oliver Cromwell – styled ‘Lord Protector’ – as head of a new ‘Commonwealth’. 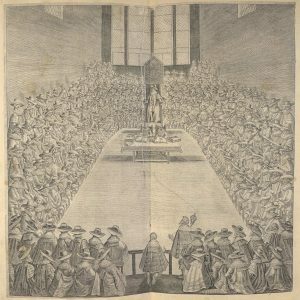 Between 1649 and 1653 the so-called ‘Rump Parliament’ sat at Westminster, compossed of English gentry generally loyal to the ‘New Model Army’ of parliamentary forces. 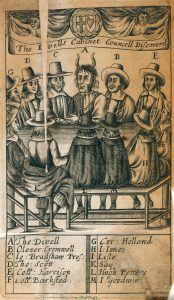 Many members were also religious zealots – so-called ‘puritans’ – who demanded that strict moral behaviour be adopted by the country at large. During this period many theatres were ordered to close and strict rules of church attendance imposed. Moves to ban the festival of Christmas were even attempted. Though England experienced a relative period of peace during the Commonwealth, forces still loyal to the deposed monarchy continued to wage war in both Ireland and Scotland. Ireland in particular was the scene of much brutal violence, as Parliament attempted to quash a Catholic rebellion. In 1649 Oliver Cromwell laid siege to the town of Drogheda, resulting in the massacre of 3,500 people, both Royalists and ordinary civilians alike. That same year Prince Charles (son of the dead king) landed in Scotland, where he was declared titular Scottish monarch. After commanding armies during several skirmishes north of the border, Charles was forced to flee England in disguise in 1651, following defeat at the Battle of Worcester. In 1653 Oliver Cromwell dissolved Parliament and assumed power in his own right. For eight years the country was run as a military dictatorship, divided into 11 regions which were controlled by major-generals. Cromwell made many concessions to his Army Council. He implemented a decisive foreign policy and ensured that the tyranny of royal absolutism would never again exist. Yet history also remembers Cromwell for his sheer brutality: for pitching the country into years of warfare, for his relentless persecution of Catholics for dissolving several parliaments. On 3 September 1658 Oliver Cromwell died as a result of pneumonia, and was succeeded by his son Richard. As second Lord Protector, Richard was a weak, indecisive and ineffective leader who failed to win support of the Army. Though Richard Cromwell convened a new Parliament to reassess the nation’s financial difficulties, after just seven months in power he was deposed by his generals. Scottish forces loyal to the old monarchy, led by General Monck, seized the moment and marched south. After arriving in London unopposed, a new Parliament was convened, and Commonwealth leaders imprisoned. Charles II, as eldest son of the executed king, was recognised as the rightful sovereign. The years of bitter civil war were over. Following years of exile in France, on 25 May 1660 Charles II landed at Dover. Four days later he entered London to a rapturous public reception, later to be crowned king at Westminster Abbey in April the following year. Though many historians see continuities between the reigns of the old and new kings, the Restoration brought significant changes to British politics. 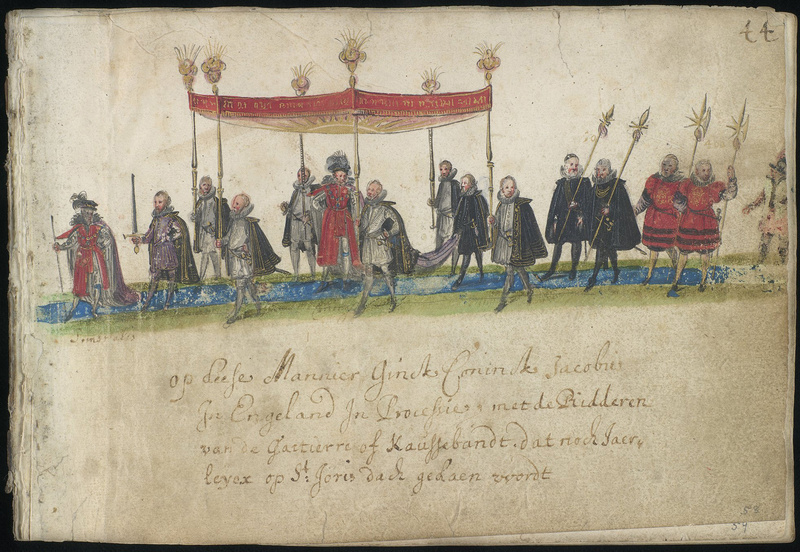 On his acceptance of the Crown Charles II issued the Declaration of Breda, which formally recognised religious toleration, protected rights to land ownership and subordinated control of the Army to the sovereign. 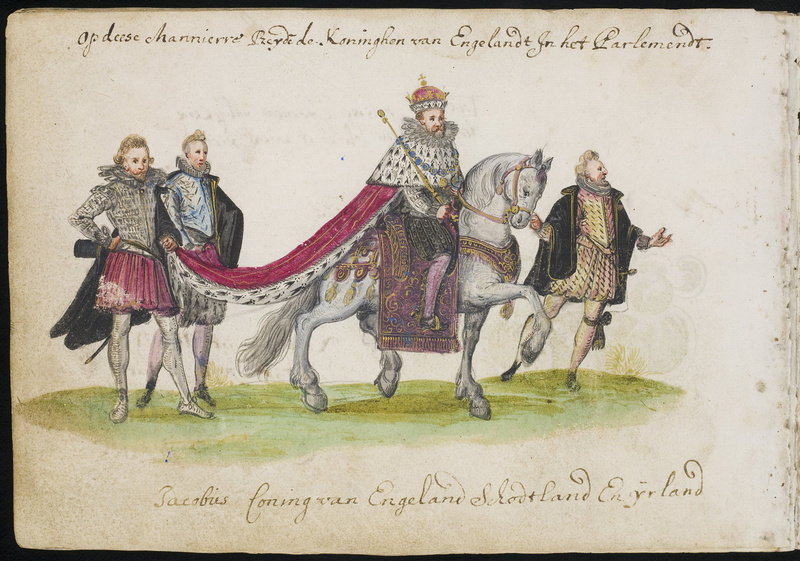 Ever wary of how his father’s uncontrolled tyranny had created years of bloodshed, Charles was eager to achieve a new settlement between the monarchy and Parliament. A mutual – though wary – respect thus emerged between the two institutions. Many of the stifling restrictions imposed on public life during the Commonwealth were also lifted, creating more liberal circumstances in which the arts and politics could flourish. Theatres reopened, religious festivals were reinstated and the natural rhythm of life was resumed. 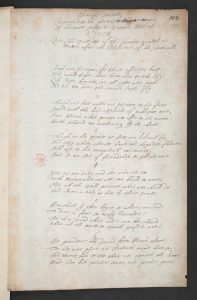 This was the great era of Restoration plays, poetry and comedy (many works written with a bawdy edge), with writers such as John Dryden, Andrew Marvell, John Milton and Aphra Behn gaining recognition and acclaim. Charles II’s personality certainly assisted the liberal attitudes that flourished at court. The king was known for his many love affairs (most famously with the actress Nell Gwynne), and his reign gained something of a reputation for scandal owing to his rakish and at times extravagant lifestyle. Yet Charles II was held in high esteem by many of his subjects, a position earned through his compassionate responses to the two great disasters that marked his reign: the arrival of plague in 1665 and the Great Fire of London, which devastated the capital the following year. But Charles II’s relationship with Parliament was always an uneasy one. In spite of formal acts recognising religious toleration, many politicians considered the king as too easily influenced by Catholic forces. Throughout the later Stuart period the country remained deeply divided on sectarian lines, and several plots emerged (though mostly fabricated) in which Catholic agents were implicated in attempts to overthrow the state. Who should succeed the king was also a particularly difficult problem. With no surviving male heirs, Charles’s natural successor remained his overtly Catholic brother, James, Duke of York. Though several attempts were made to exclude James from the line of succession, no clear settlement was ever reached. And on 2 February 1685, after suffering a sudden fit, Charles died unexpectedly, aged 54. 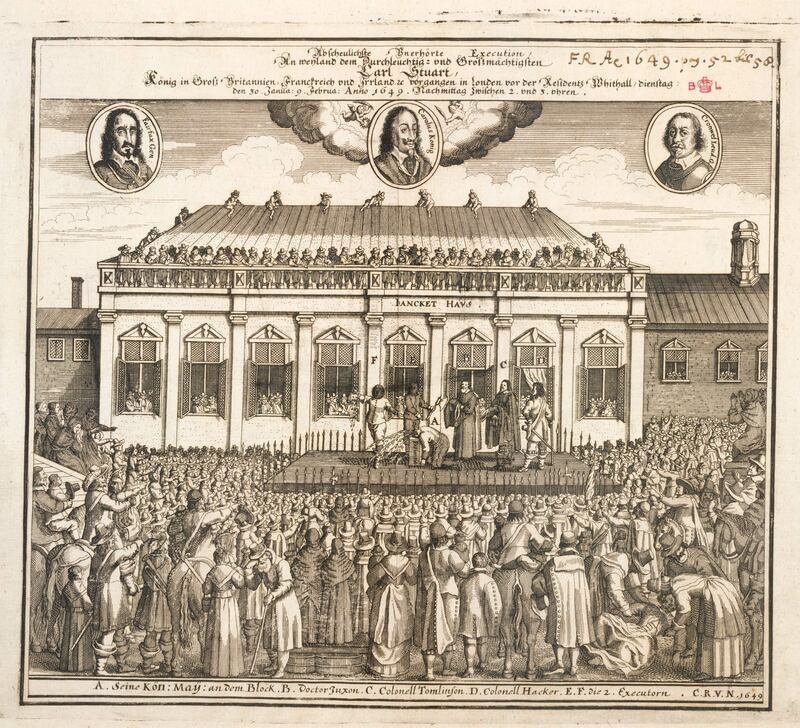 The accession of James II in 1685 once again threw British politics into turmoil. 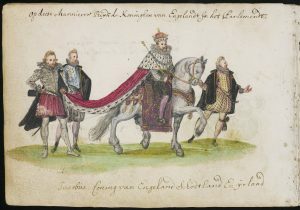 With buoyant trade creating relatively healthy revenues, the newly crowned king felt less compelled to consult with Parliament than his brother once had, particularly when it came to formulating foreign policy. During the early years of his reign the Army increased in strength by some 20,000 men (largely as a measure required to crush two significant rebellions), creating unease among MPs about James’s wilfulness in disregarding their views. It was matters of religion, however, that were to prove James II’s undoing. As a committed Roman Catholic the new king sought to remove laws barring Catholics from office and to reverse the laws of religious toleration previously established by Charles II. 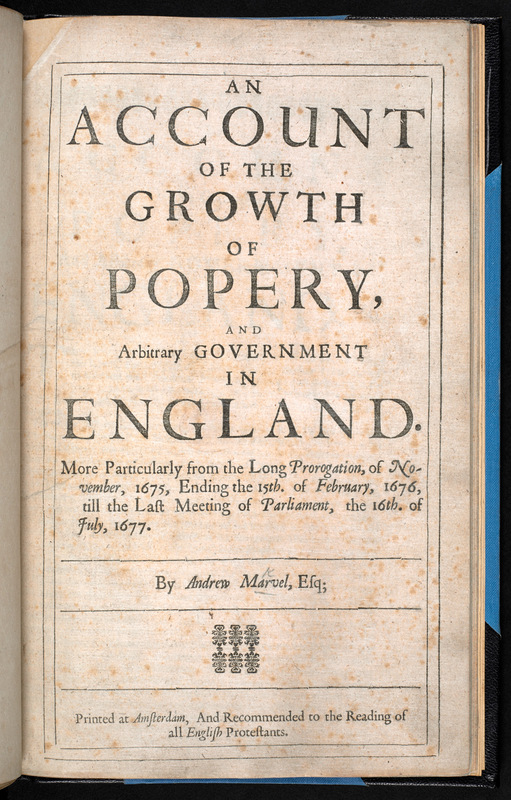 By attempting to pack Parliament and local government with Catholics, he further hoped that more of his subjects would flock to his own faith. Most parliamentarians, however (a large proportion of whom were dissenting Presbyterian Protestants), were not prepared to tolerate such steps. Further alarm was created in June 1688, when a Catholic line of succession appeared to be confirmed with the birth of a new son to James. 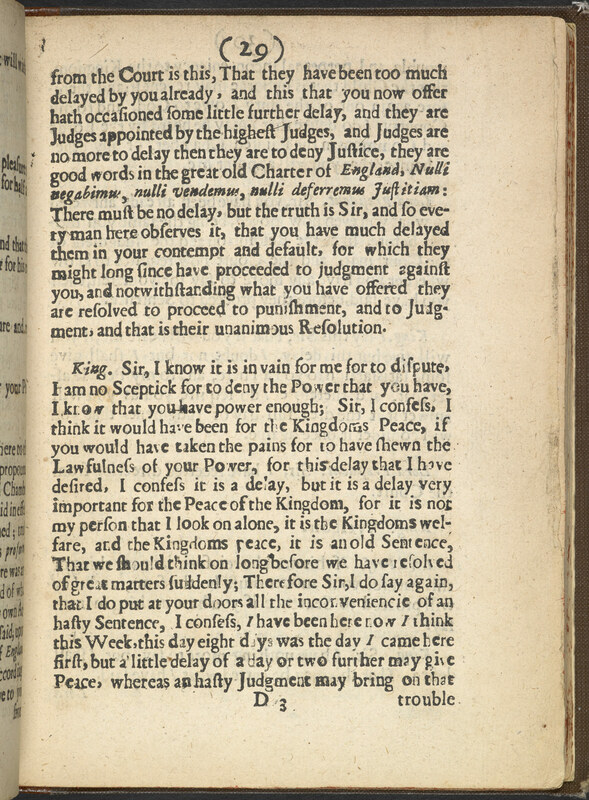 Parliament began to move quickly against the king. A group of seven Protestant noblemen contacted William, Prince of Orange – the husband of James’s eldest daughter Mary – inviting him to invade Britain, a move which they confirmed would remain unopposed by English forces. In November 1688 William crossed the English Channel accompanied by a huge invasion fleet, landing at Torbay in Devon. Sensing his hopeless situation, James threw his badge of office, the Great Seal, into the river Thames, and fled the country, eventually finding exile in France. William III and Mary II were to be crowned joint sovereigns in April 1689. 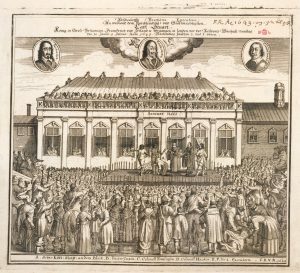 The relatively peaceful overthrow of James II in 1688 – labelled the ‘Glorious Revolution’ by later historians – marks the establishment of a lasting Protestant settlement in British politics. New constitutional arrangements were established that would endure into the modern age. 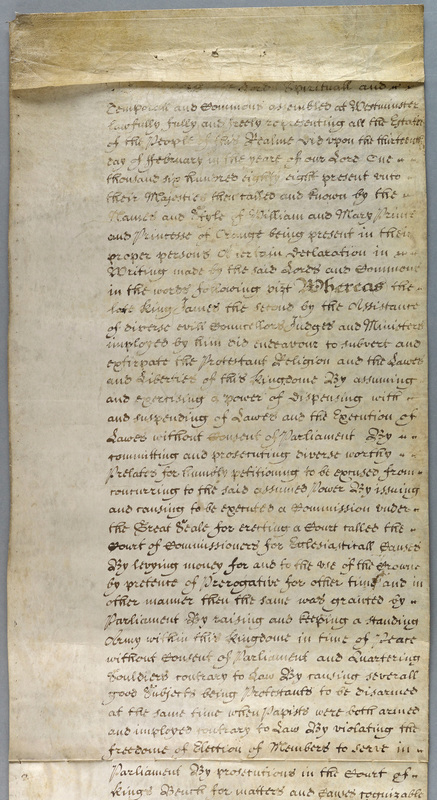 A Bill of Rights enacted by Parliament in 1689 implemented new rules and conventions governing the affairs of state: the illegality of the Crown raising taxes or mobilising armies without Parliament’s support, for example, along with the requirement for regular sessions of Parliament to be held, the right to free elections and the right to free speech. Never again would an absolutist monarch be allowed to hold power over the British Parliament, safeguarding against the horrors of civil war witnessed throughout the country some 40 years before. Quoted in T Hunt, The English Civil War At First Hand (London, 2003), p. 4. P Ackroyd. The History of England, Volume III: Civil War (London, 2015), p. 302. Hunt, The English Civil War, p. 201. Charles Carlton, Charles I: The Personal Monarch (London, 1995), p. 354. John Barratt, Sieges of the English Civil War (London, 2009), p. 155. J R Jones, The Restored Monarchy, 1660–1688 (London, 1979), p. 32. 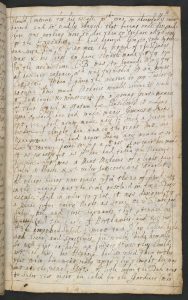 This entry was posted in Early Modern, England, History. Bookmark the permalink.